My current equipment includes a Software Bisque Paramount MYT. This mount is extremely stable and has excellent periodic error (2.3 arc sec measured) and can handle up to 50lbs of scope and accessories. 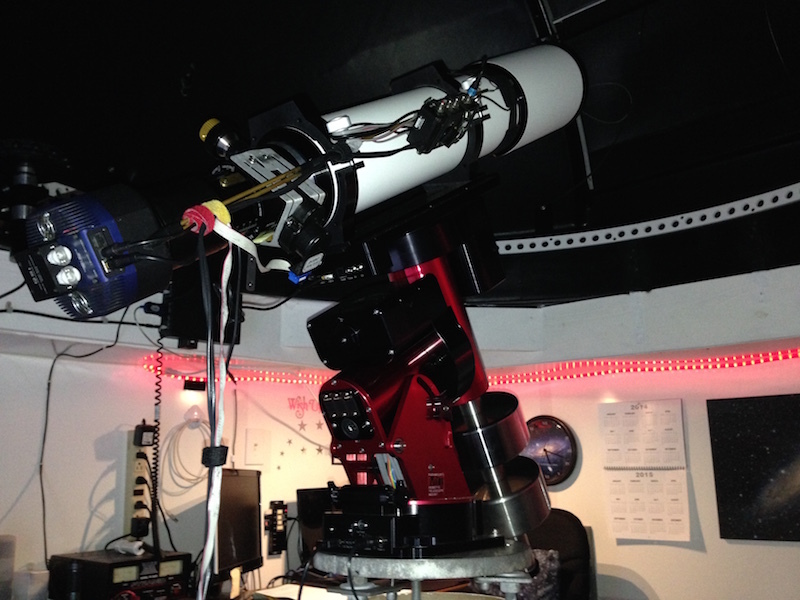 I have this mount installed in my domed observatory in my backyard. (NEW Feb 12) The roll off observatory has been retired to visual only. See my new “Observatory” page. I am currently using the QSI 583 camera and QSI 683 camera with broad and narrow band Astrodon 31mm filters and a SBIG STL 11K camera with Custom Scientific filters and a Astrodon 5nm Ha filter. 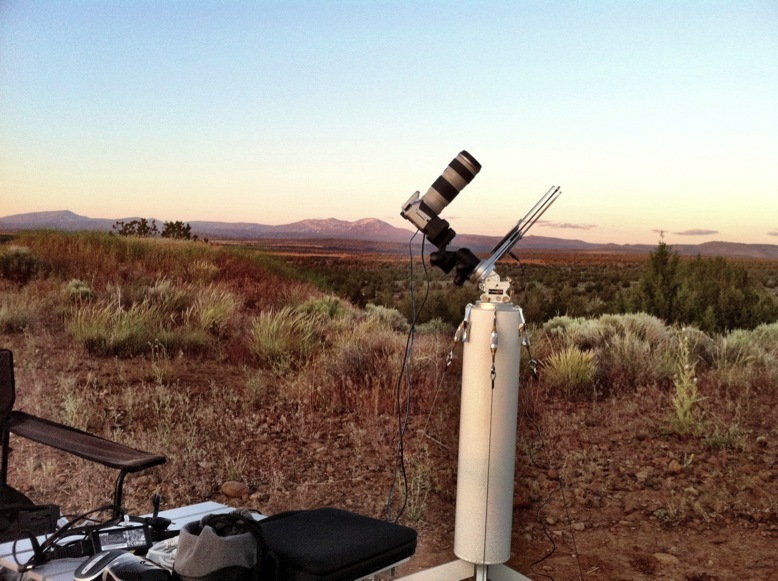 For traveling I have a Astrotrac portable pier system which is used with a Canon 60Da/6D modified DSLR cameras and several lenses. This system provides extremely nice wide field views of the sky.